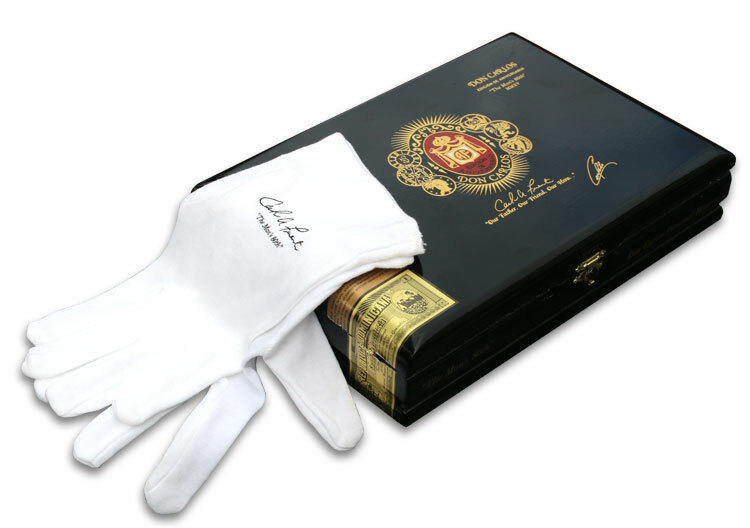 The Don Carlos Personal Reserve Robusto comes in 20 ct. boxes bearing the Don Carlos Edicion de Aniversario logo and “The Man’s 80th.” The boxes are beautiful black laquered boxes that come with white Carlos Fuente Sr. smoking gloves. 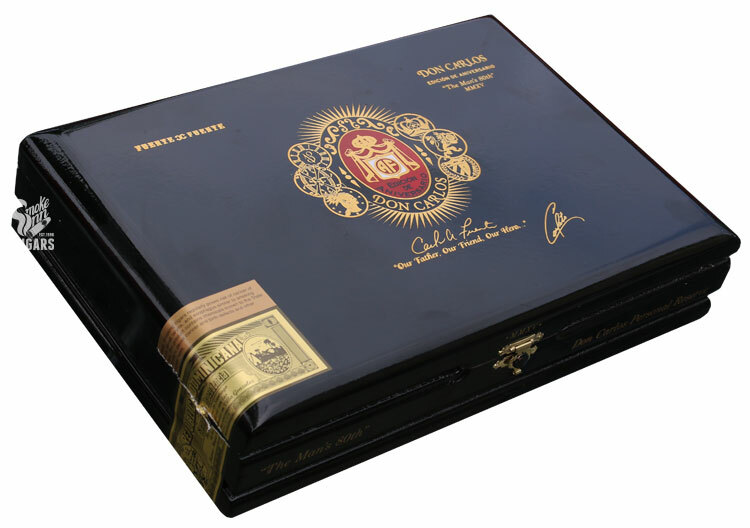 The Don Carlos Private Reserve is believed to be the latest of the Don Carlos Senior Blend, a special version of the regular Don Carlos which is smoked by Carlos Fuente Sr. himself. The Don Carlos Personal Reserve comes in a 5 inch by 50 ring Robusto boasting a Cameroon wrapper and Dominican binder and filler. Don't miss out on these limited edition smokes, as they will surely sell fast!